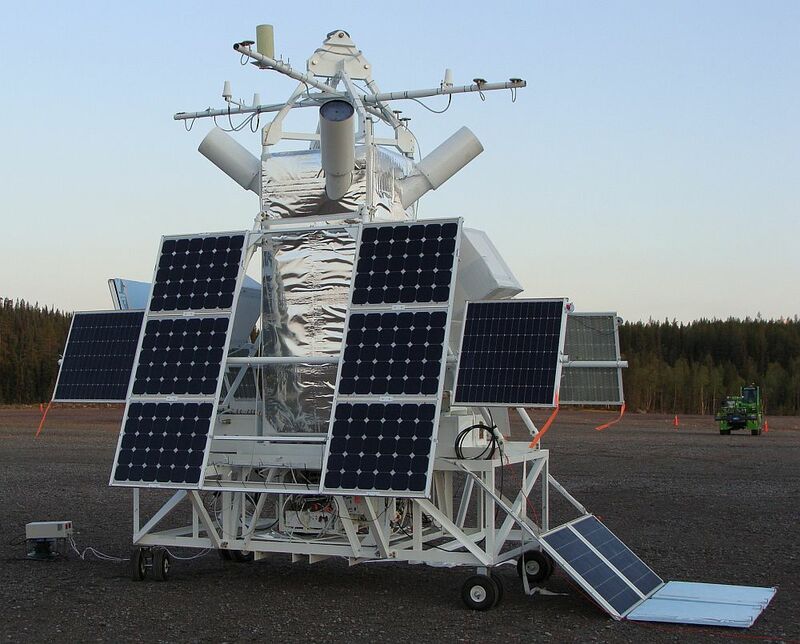 HIWIND stands for High-altitude Interferometer WIND Experiment and is the first balloon-borne Fabry-Perot interferometer specialled conceived for measure the daytime thermospheric winds by monitoring the neutral wind induced Doppler shift in the airglow emission O 630 nm. At left can be seen an scheme of the instrument mounted on the gondola (click to enlarge). 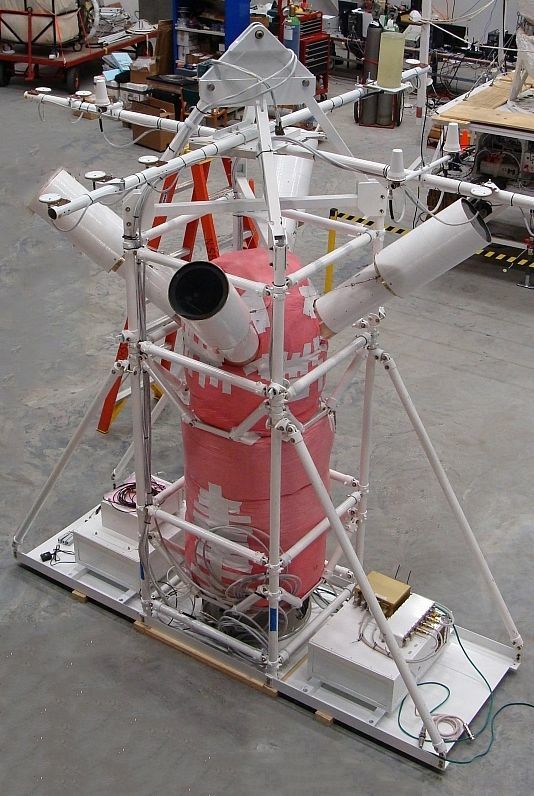 The instrument measures four meters and weighs about 720 kilograms. Inside the central body -in an environmentally sealed pressure vessel- are located the different elements of the interferometer which form the optical bench: the lenses, an etalon chamber, the filter wheel and a CCD. The cylindrical body is covered by reflective space blankets during flight to provide protection from the extreme thermal environment that exists in the stratosphere. Near the top of the instrument, four light port tubes pointed upwards allow light measurements to be taken in four directions simultaneously to determine wind velocity and direction. The tubes are oriented at an elevation angle of 50º from the horizon to look at wind velocities well above HiWind's flight altitude. 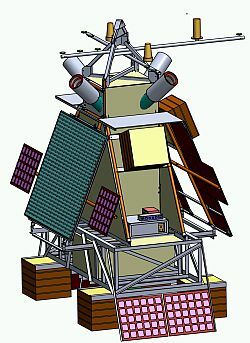 The solar panels are continuously positioned to face the Sun during flight to provide power and shade critical areas of the instrument from intense solar radiation. A large radiator at the rear allowed precise thermal control of sensitive components inside the payload. 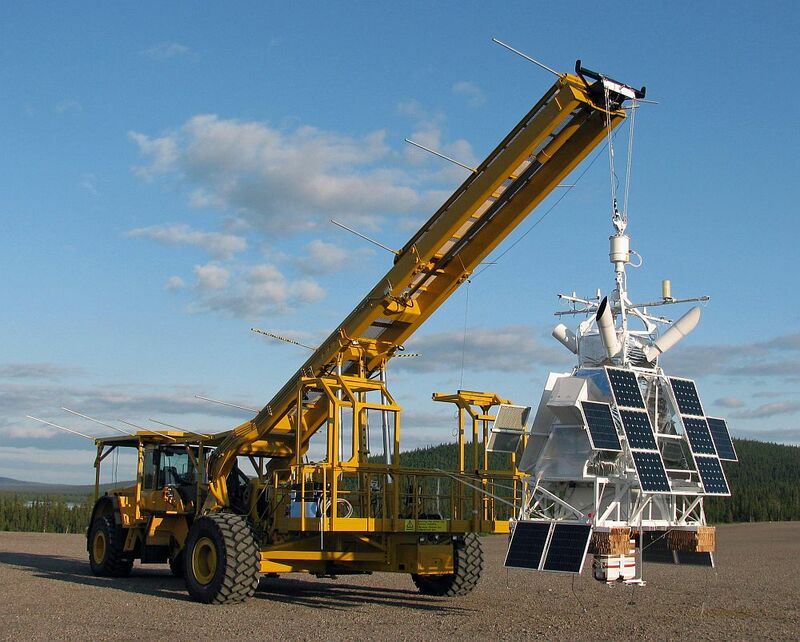 Pointing information is provided via differential GPS and a sun detector developed by NASA to drive a motorized rotator located between the payload and the balloon. 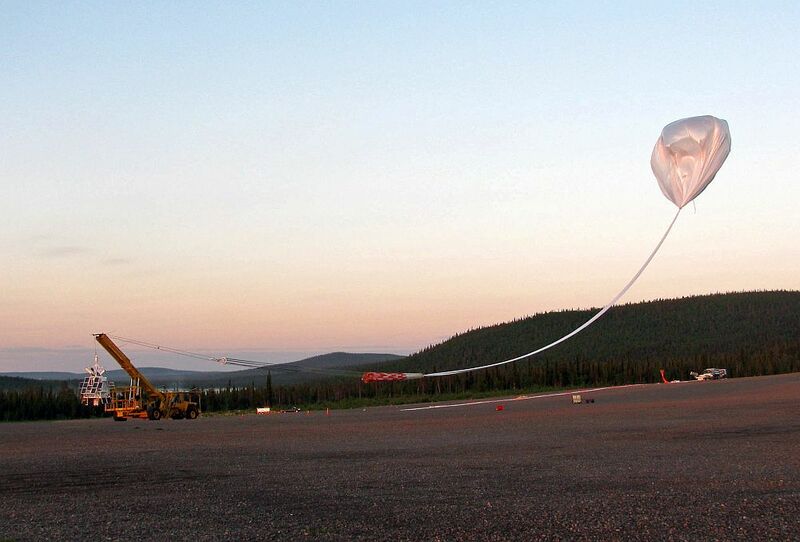 The balloon was launched by dynamic method with assistance of launch vehicle (Hercules) at at 23:12 utc on June 13, 2011. 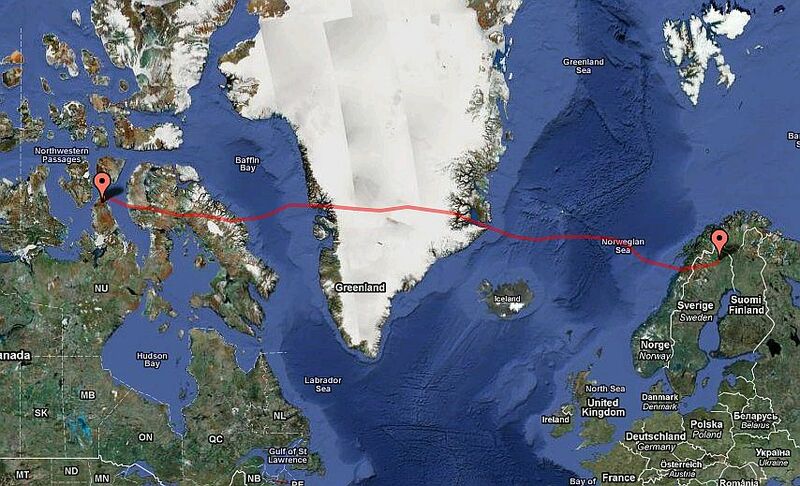 After an initial ascent phase the balloon reached float altitude and started the westward flight path that would take it to Canada after crossing Sweden, Norway the North Atlantic and Greenland. After a total flight time of four days and one hour, the mission was terminated. 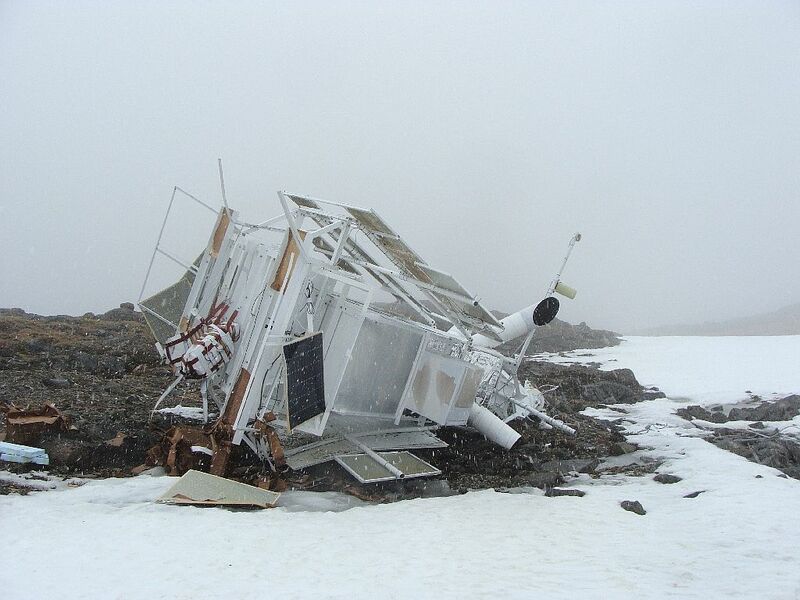 The payload landed on Somerset Island, Nunavut Territory, Canada, and was recovered a few days after using an helicopter. 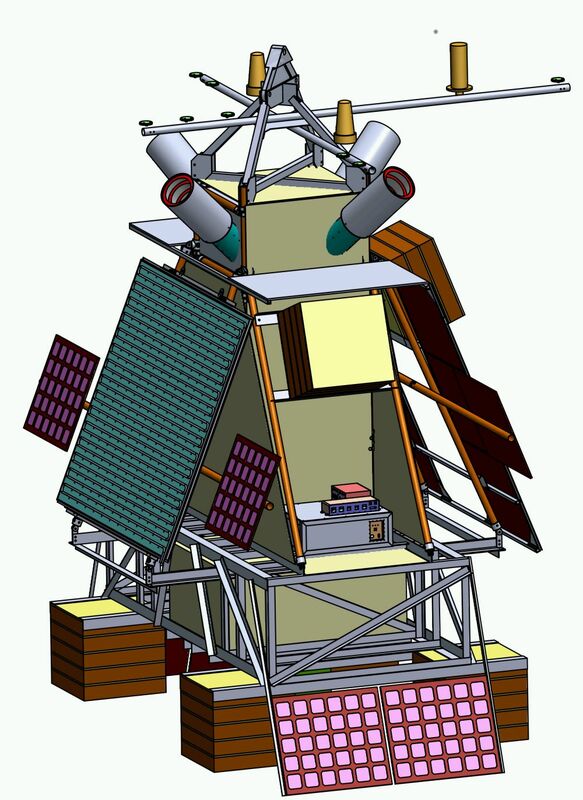 The main scientifics objectives of the flight were to measure thermospheric neutral winds and to study the ionosphere and thermosphere interaction in the polar cap during the summer. To understand the Joule heating in the high latitude region which has a great impact on thermosphere global circulation. To provide a better understanding of the energy transfer process from the solar wind to magnetosphere, ionosphere and thermosphere. Is expected that the observational results will have a great impact on space weather research and will help to predict the ionosphere variation related to the thermosphere motion.